Some eye problems are minor and don't last long. But some can lead to a permanent loss of vision. Your best defense is to have regular checkups, because eye diseases do not always have symptoms. 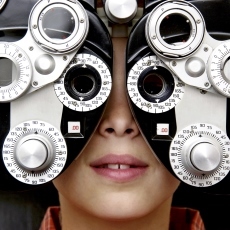 Early detection and treatment could prevent vision loss. See an eye care professional right away if you have a sudden change in vision, if everything looks dim, or if you see flashes of light. Other symptoms that need quick attention are pain, double vision, fluid coming from the eye, and inflammation. Article: 2019 New Drug Update.